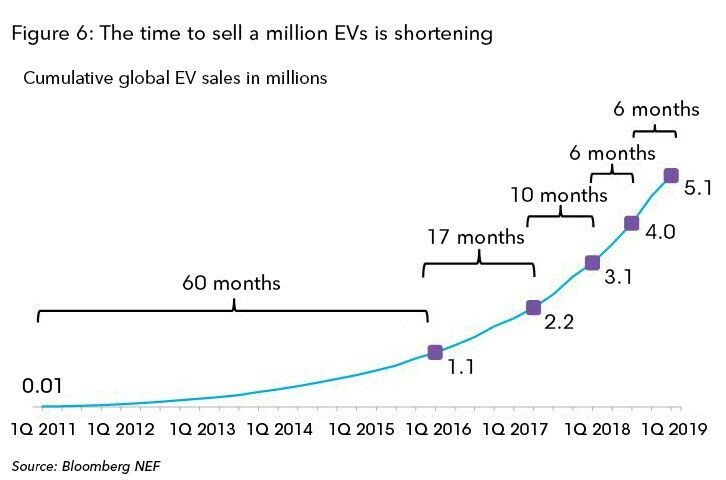 Cumulative passenger EV sales were set to hit 4 million a few weeks ago, according to Bloomberg New Energy Finance (BNEF). This includes battery electric passenger vehicles and plug-in hybrid passenger vehicles. China played a major role in reaching this milestone, and is responsible for around 37% of passenger EVs sold around the world since 2011 and for about 99% of the e-buses.